Wal-Mart said it is on track to meet most of its sustainability goals including its ambition to end landfill waste by 2025. Wal-Mart CEO Mike Duke said in June that environmental sustainability is one of the company's top five priorities. However, the company said it is facing some headwinds including not selling as much energy-efficient consumer products as it had hoped and it did not reduce the level of phosphates in its laundry and dish detergents as much as originally planned. 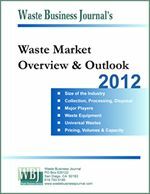 It has reduced landfill waste from 36 percent two years ago to just 20 percent of its waste going to landfills by the end of 2011. The company also said 22 percent of the electricity it used in its global operations during all of 2010 came from renewable sources, while 15 percent of all the energy it used came from renewables. Walmart today released its fifth annual Global Responsibility Report (GRR) entitled "Beyond 50 Years: Building a Sustainable Future," highlighting Walmart's global top 10 list of achievements to reduce its impact on the environment, improve efficiency in its supply chain and stores and address social issues. The new GRR unveils data and progress against Walmart's three primary sustainability goals to use 100 percent renewable energy; create zero waste; and sell products that sustain people and the environment. 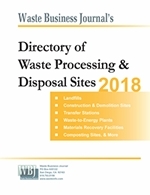 Landmark waste reduction leads other notable accomplishments, including growing use of renewable energy, increased locally-grown sales and emphasis on diversity and empowerment. "Good work is taking place every day across our global operations to make us a more responsible and sustainable company, and the results have been significant," said Mike Duke, Walmart's president and CEO. "We set ambitious goals to challenge ourselves but are committed to making change in a way that will be meaningful and long-term. Understandably, in some areas our progress is slower than we would like and sometimes we hit temporary roadblocks. Our commitment is clear and our resolve to lead is stronger than ever." Reduced Waste by 80 Percent - Walmart prevented 80.9 percent of the waste generated across all U.S. operations from going to landfills. Walmart achieved this by implementing its Zero Waste Program, which consists of recycling, donating and repurposing waste. This figure represents 11.8 million metric tons of carbon dioxide emissions - the equivalent of taking more than two million cars off the road for a year. Similar efforts are under way globally. ASDA, Walmart's U.K. operator, sends zero food waste to landfills, and Walmart stores in China and Brazil diverted 52 percent of operational waste from landfills. Expanded Locally Grown Produce - By the end of 2011, Walmart increased the amount of locally grown produce sold by 97 percent, which accounts for more than 10 percent of all produce sold in U.S. stores. Locally grown is defined as products grown and sold in the same state. Walmart is pursuing a goal set in 2010 to double the amount of locally grown produce it sells in the U.S. by the end of 2015. Supporting women empowerment programs by $100 million in grants from the Walmart Foundation and Walmart's international businesses. Saved Customers $1 Billion - Since launching with U.S. First Lady Michelle Obama in January 2011 the initiative to bring healthier, more affordable food to America, Walmart achieved its goal to save U.S. consumers nearly $1 billion on fresh fruits and vegetables. Walmart will continue to help consumers save on healthier food by reducing or eliminating the price premium on more than 350 better-for-you items including low-sodium lunch meat, reduced fat peanut butter and fat-free salad dressing. Announced Great for You Icon - Last year, Walmart committed to creating a front-of-pack icon to help consumers easily and quickly identify healthier food options. In January 2012, Walmart unveiled the Great For You icon, which will appear in Walmart U.S. stores' produce area this summer and on Great Value and Marketside items that meet nutrition criteria beginning this fall. The new icon will be made available to national brand products that qualify. Utilized 1.1 Billion Kilowatt Hours (kWh) of Renewable Energy - The United States EPA Green Power Partnership program now ranks Walmart as the second-largest onsite green power generator in the United States. Renewable energy projects provide 1.1 billion kWh annually, or about 4 percent of electricity for Walmart buildings globally. Walmart also purchases another 18 percent from the grid for a total of 22 percent renewable electricity as of 2010. Walmart has 180 renewable energy projects in operation or under development, which use a diversity of innovative technologies, including solar power, fuel cells, micro-wind, offsite wind projects and much more. Integrated Sustainability Index - For the past two years, Walmart has worked with more than 90 suppliers, academics, NGOs and other retailers through The Sustainability Consortium (TSC) to assess and improve the sustainability of its products. Walmart used the consortium's data to develop its first category scorecards to help buyers evaluate products and expects to expand the scorecards in up to 100 major categories by the end of 2012. Responded to Natural Disasters - In response to the historic earthquake and tsunami in Japan, Walmart made an initial donation of $5 million to relief efforts and helped by donating needed supplies, including tents, blankets and flashlights. After tornadoes devastated the Midwest and South last spring, Walmart donated $1 million in cash and in-kind donations to help its communities recover. Expanded Global Direct-Farm Program - Walmart is working with small- and medium- sized farmers and their communities in China, Central America, India and other countries around the world. By selling directly to Walmart, farmers earn a better price for their products, increase their income and receive expert advice on crop planning. Nurtured Diversity and Inclusion - Walmart has continued to focus on making the company a workplace of opportunity. Fifty-three percent of 179,000 hourly promotions in U.S. stores were women and 200,000 female associates have been with Walmart for 10 years or longer. In the last five years in the United States, Walmart has increased female store managers by 46 percent. Women in Walmart at the C-suite level advanced globally, including the promotion of two female CEOs. Learn more about Walmart Sustainability and read the 2012 Global Responsibility Report at The Green Room. About Walmart Wal-Mart Stores, Inc. serves customers and members more than 200 million times per week at 10,130 retail units under 69 different banners in 27 countries. With fiscal year 2012 sales of $444 billion, Walmart employs about 2.2 million associates worldwide. Walmart continues to be a leader in sustainability, corporate philanthropy and employment opportunity. Additional information about Walmart can be found by visiting www.walmartstores.com. Online merchandise sales are available at www.walmart.com and www.samsclub.com.